Normally the carrier oils that form the base of a beard oil get over looked, guys are interested about the scent. Beard Juice ‘No. 70’ Beard Oil – Fragrance Free Beard Oil obviously has no scent and so the focus is on those carrier oils. A blend of Almond, Argan, Coconut, Hemp and Jojoba carrier oils No 70 has a very slight nutty scent. No. 70 – Fragrance Free Beard Oil from Beard Juice left my beard feeling softer and looking good. The oils used will not only condition your beard leaving it feeling soft but will also help to keep your skin healthy, preventing spots, that horrible itchy feeling and stop dry skin. 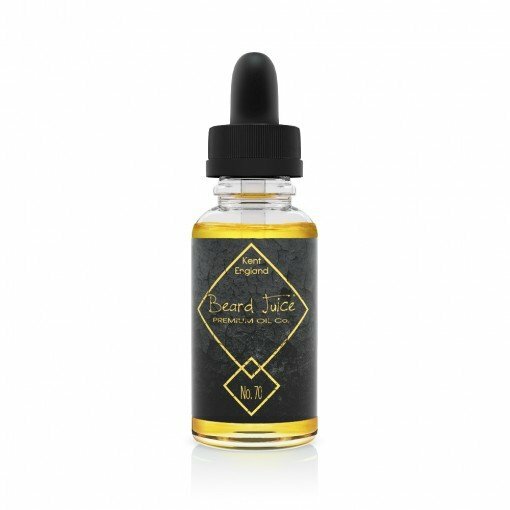 Beard Juice who are based in Kent, England have impressed me with the five oils that I received, perfectly blended essential oils that gave impressive aromas and on a very good base of carrier oils that have been chosen for their benefits rather than just trying to bulk an oil up for profit. Beard Juice also sell a range of Beard Balms, Brushes and combs and also his and hers T-Shirts.